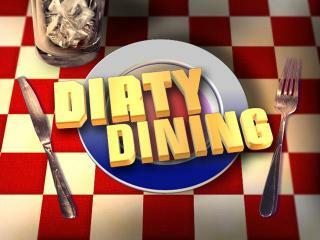 Will Dirty Dining affect my desire to eat at Portland City Grill (one of my favorite places to make fun of even though I enjoy myself every time)? Of course not! I’m pretty sure the only place I ever eat raw egg batter and calamari is in the comfort of my own home. I also have been known to flirt with disaster and toss dirty spoons in with clean spoons, but not knives! What stupid restaurant would do such a thing? For me personally, Dirty Dining really “raised some eyebrows” with their continuous visits to Cheerful Tortoise’s. Before I watched that report, a group of friends visited the Cheerful for cheap “recovery food”. A friend ordered the pancakes… and he is a no-pro when it comes to culinary experiences. After waiting 45 minutes, he was eventually served well-done, black pancakes. This North American flapjack was so burnt we tossed them across the table to test it’s sturdiness. The Double D helped me realize that Cheerful Tortoise is a gross place to eat. It’s easy to love the hijinks that ensue on Dirty Dining. You’ll also find ease to hate its junk reporting. Dirty Dining is a horrible news gimmick to keep Portlanders fearful of area restaurants. The problem with Double D is that We already know these places are obviously craptastic and could cause post-digest stomach aches, but we still eat there. Please just don’t SHOW/TELL me why I shouldn’t. It’s like taking a black light to your hotel room.